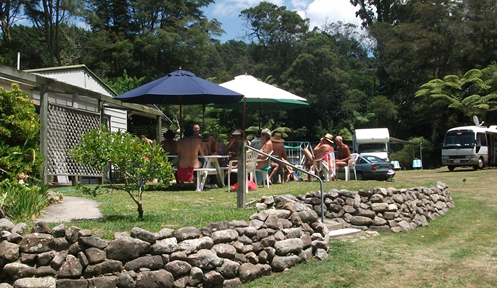 The Bay of Plenty Sun Club welcomes all people who want to visit our club. 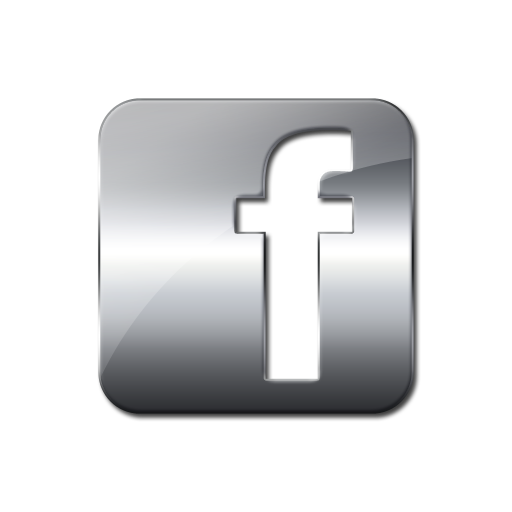 The only thing we ask is that follow our club rules and a membership card of the NZNF affiliated club, INF card or any other overseas naturist club. Please contact us to book accommodation or to visit the club. Anybody who interested in naturism can come and enjoy the facilities of our club for only $10 per person per visit. If you are not member of a naturist club yet, you can use the day visit three times to see if our club and club naturism is something for you. 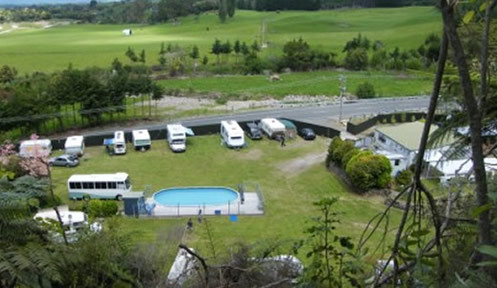 The Bay of Plenty Sun Club has 11 powered and 2 unpowered well-spaced sites for visitors to use, which suits your camper, caravan or tent for only $20 per person per night, which includes day visit and all clubs facilities. Our accommodation is situated in our newly established visitors corner, which is between the stream and the spa pool. 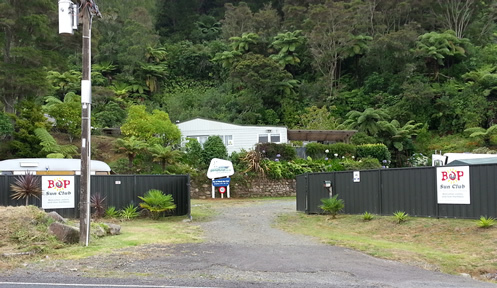 Very close to the club house, toilet and showers. Our accommodation is maximal 2 persons and includes day visit, overnight stay and use of all facilities of the club. 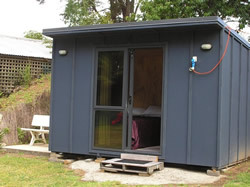 The cabin comes with a small fridge and all bed linen will be supplied. Please report to the caretaker upon arrival. Children under the age of 18 accompanied by an adult stay for free. 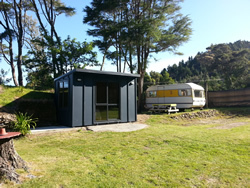 Overnight stay, Cabin hire is based on a 24 hour period. If you wish to stay longer a day visit fee will apply.